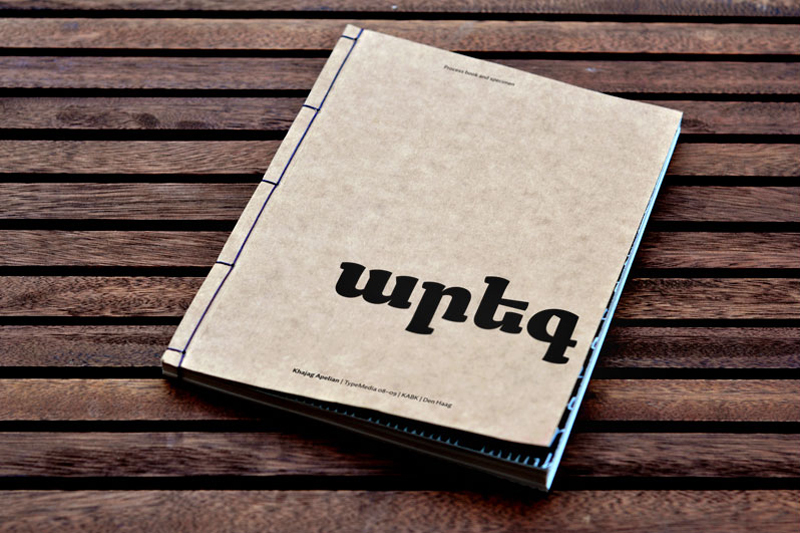 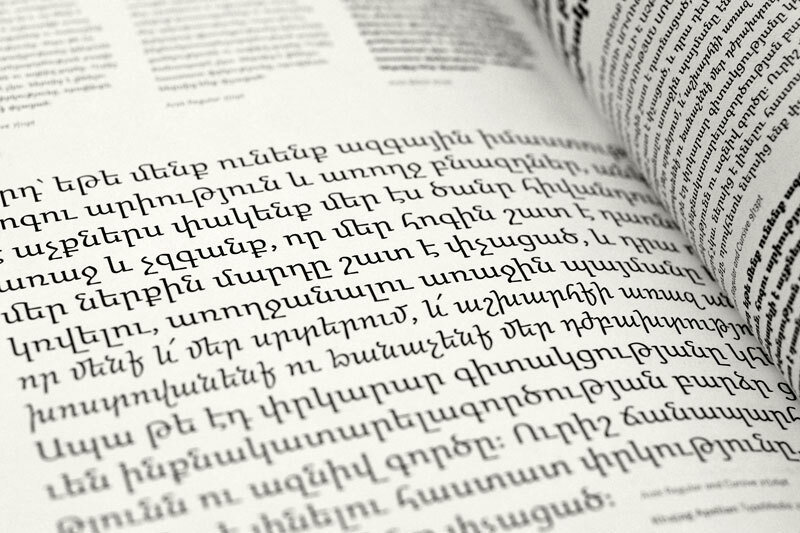 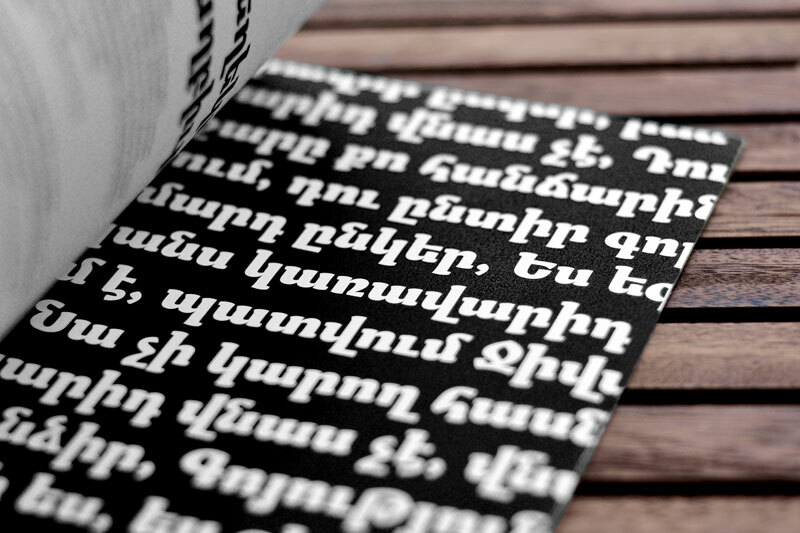 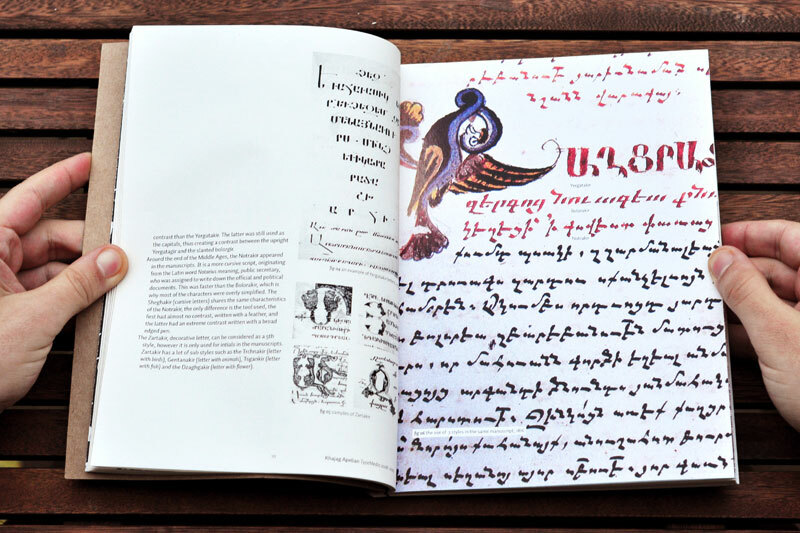 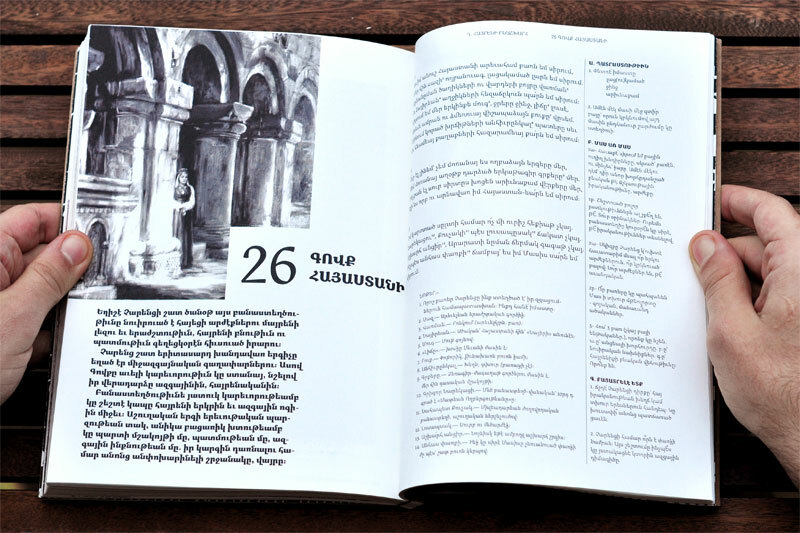 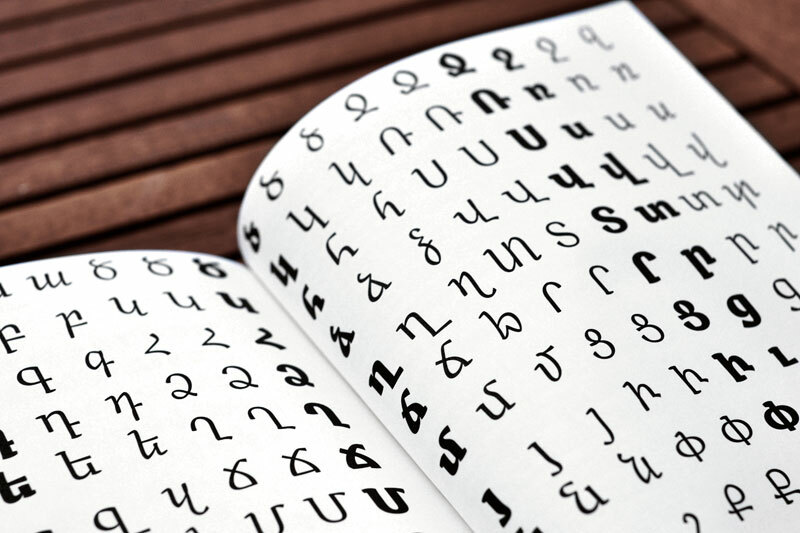 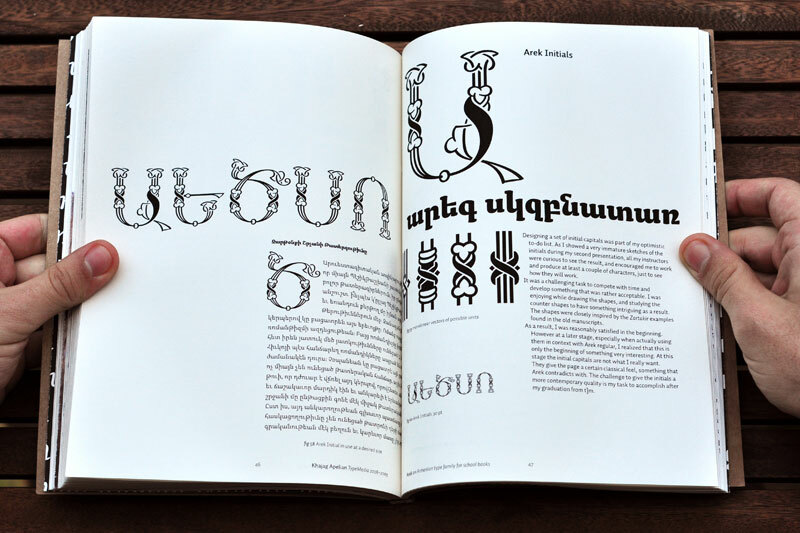 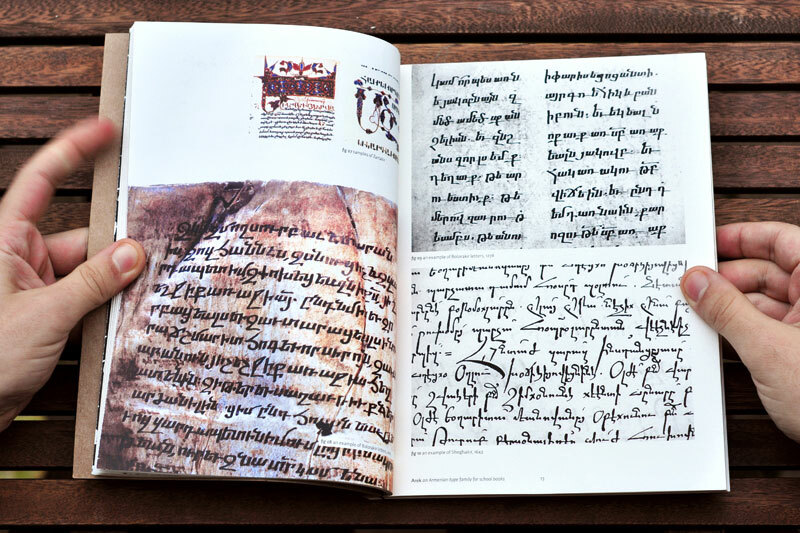 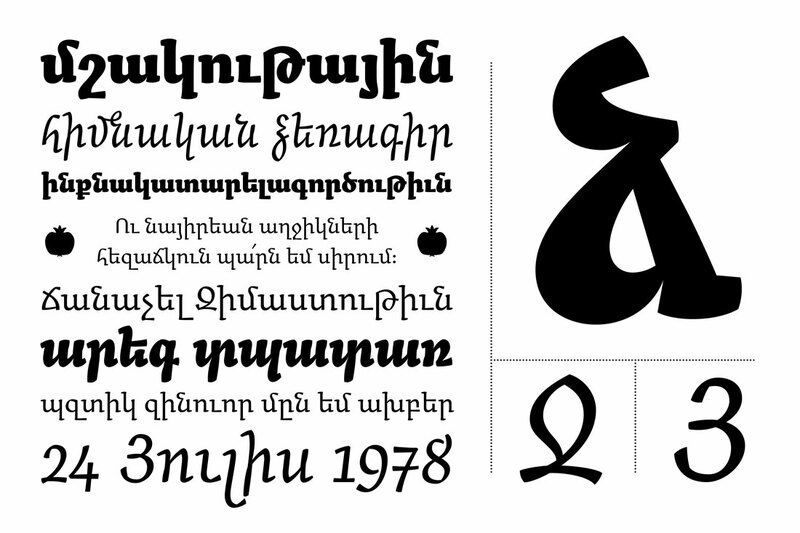 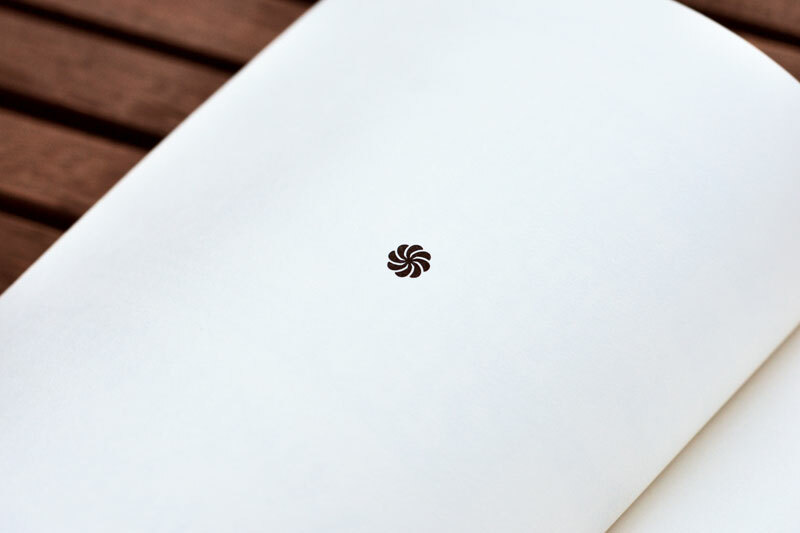 Arek is an Armenian font created by Khajag Apelian to be used in Armenian schoolbooks. 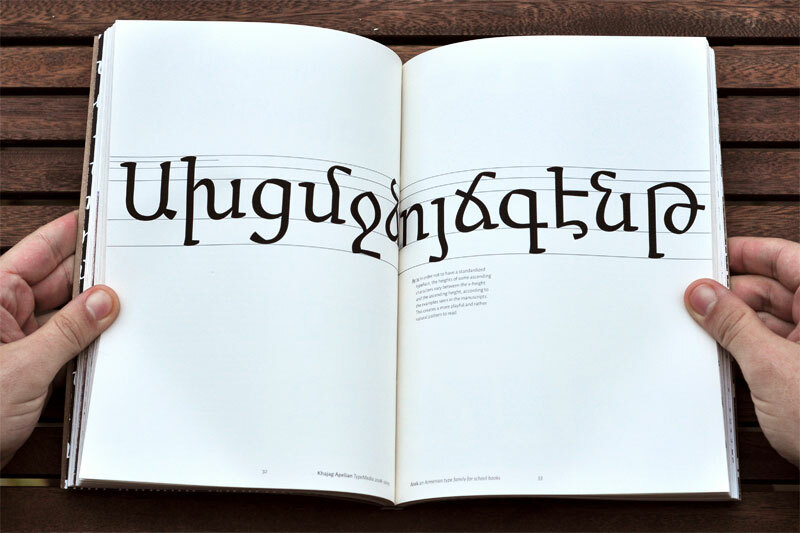 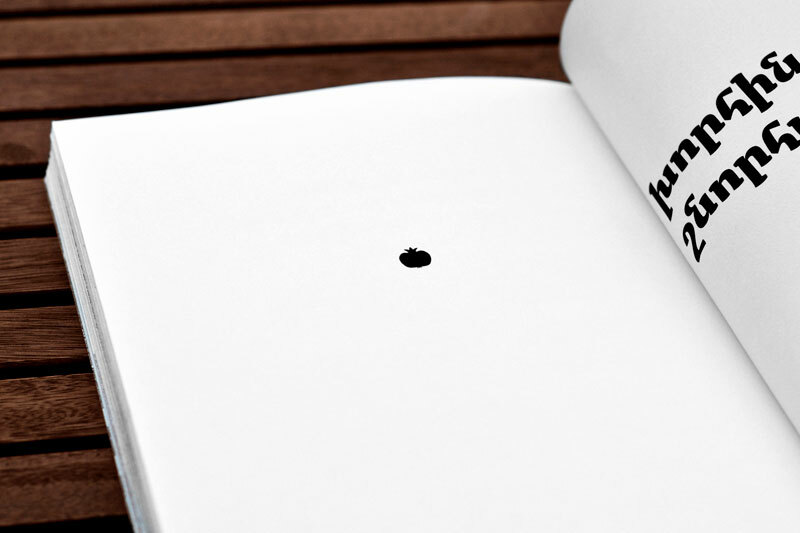 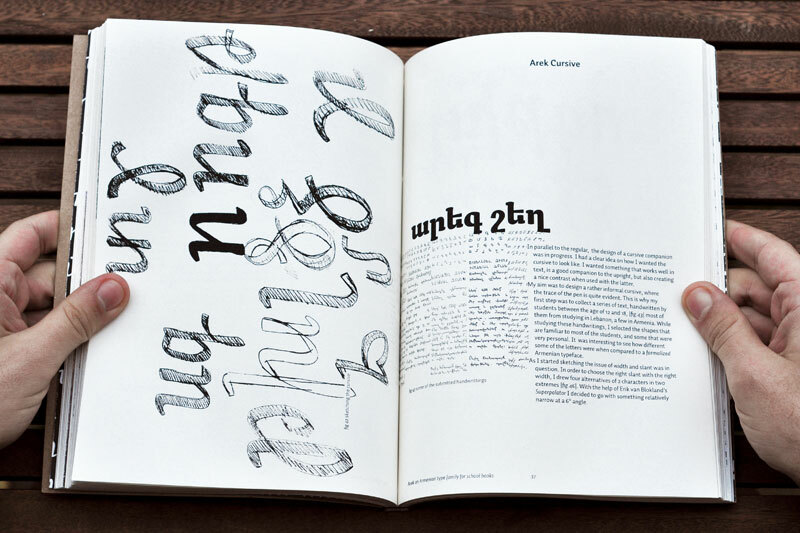 The font won the Grand Prize at Granshan 2010, 3rd International Eastern Type Design Competition, held in Dublin. 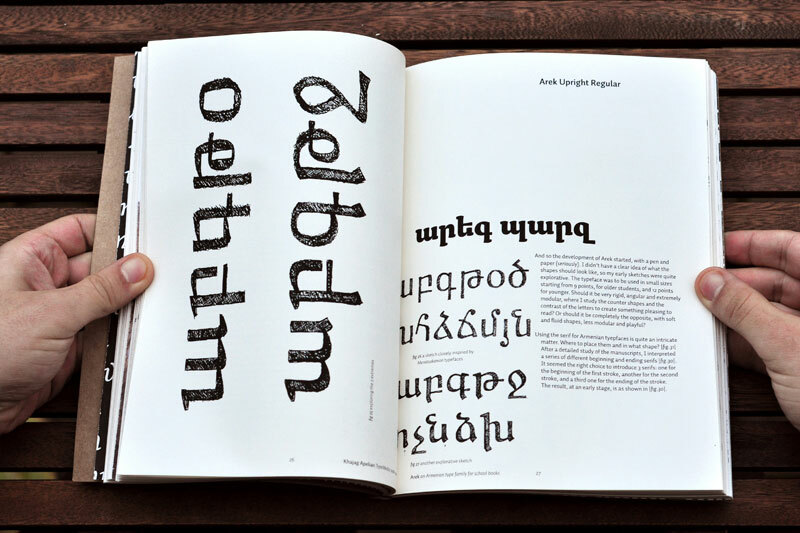 Khajag is a young designer from Holland who developed ‘Arek’ during his studies at the Royal Academy of Art in the Hague (KABK). 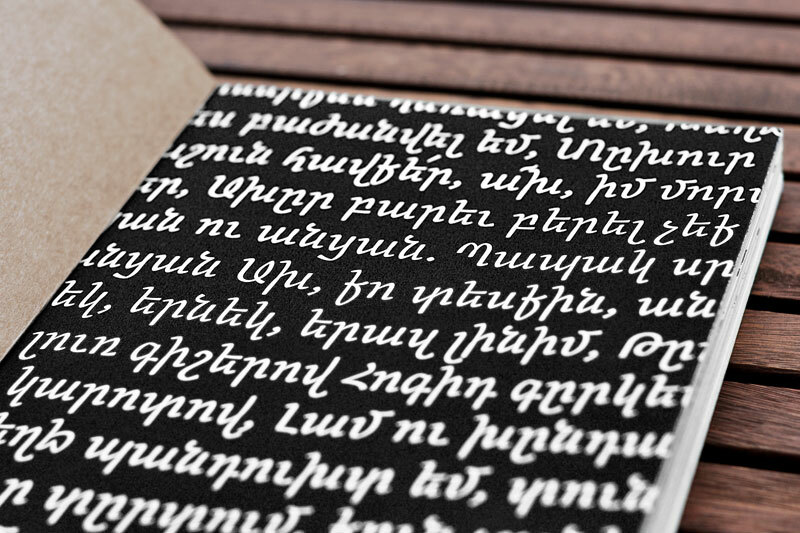 ‘Arek’ is a modern interpretation of the ancient Armenian script used in old manuscripts, it currently comprises an upright and cursive style in two weights; regular and black. 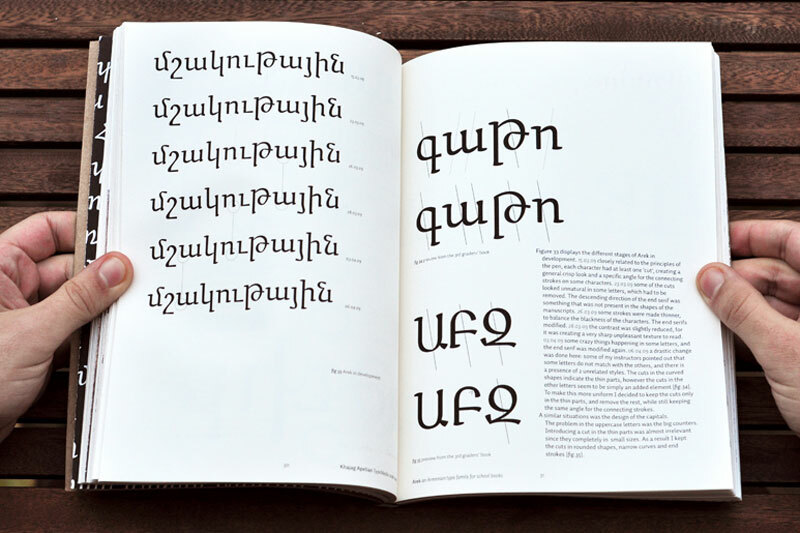 Arek is a typeface rich in various OpenType features such as ligatures and contextual alternates, developed to remain true to the original structure of Armenian letter shapes.